Ready To Start Your Oily Journey??? 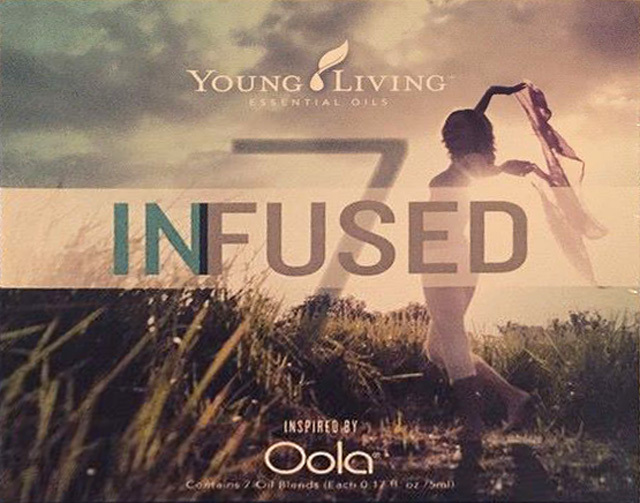 I kept seeing and hearing all about something called Oola and the Infused 7 on Young Livings website. Honestly I thought it sounded a bit new agey(is that even a word?) for me. It wasn’t until I had someone ask me about it that I thought, maybe I need to really learn what this Oola and Infused 7 is all about. So I started researching it. The first thing I did was watch a webinar that I signed up for but never had the chance to watch. Wow!!! It was not at all what I thought it would be. I’m so excited I took the time to watch it. Click this link if you are interested in watching it. So, what exactly is Oola®? Oola is a state of awesomeness. It’s living a life that is balanced and growing in the seven key areas of health and well-being. It’s unlocking the potential for greatness that lies within each of us. It’s finding true purpose and meaning for your life. The OolaGuys, Dr. Dave Braun (OolaSeeker) and Dr. Troy Amdahl (OolaGuru), have identified seven key areas that people need to balance and grow to live a rich and fulfilled life. These are the 7 F’s of Oola: Fitness, Finance, Family, Field (career), Faith, Friends, and Fun. Young Living has partnered with Oola to combine, for the first time ever, the power of Young Living essential oils with the simple and life-changing principles of Oola. Engage all five senses as you transform and improve your life with the new, proprietary INFUSED line. Gary Young has specifically formulated each blend in this kit with essential oils that will help you connect on a spiritual and physical level as you pursue balance, take action toward your dreams, and pursue your OolaLife. By leveraging the unique partnership, products, and services provided by Young Living and Oola’s INFUSED lifestyle, you can find the balance and fulfillment you are looking for in every area of your life. 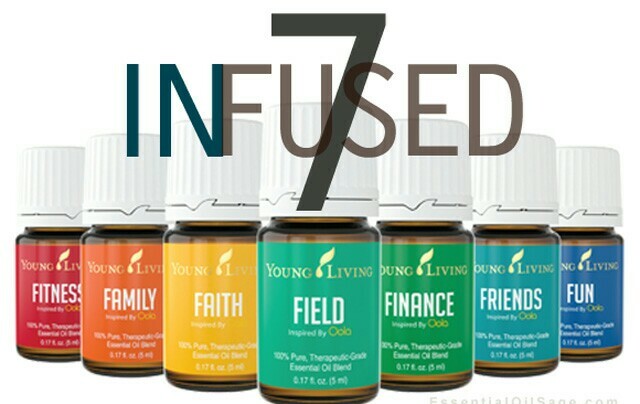 The INFUSED 7 Essential Oil Collection includes 5-ml bottles of Faith™, Fitness™, Finance™, Friends™, Family™, Field™, and Fun™ Inspired by Oola® essential oil blends. You can order the book here. 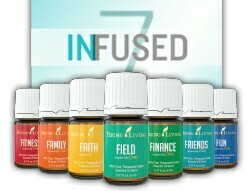 If you’re interested in the Infused 7 oils please contact me. I would love to help you out. Previous postWhy Choose Young Living Essential Oils? Seed to Seal!!!! Hi I’m Rebecca Join me as I share our journey from city folks to country folks. We live our lives as stress free as possible and try to stay young and healthy, even if only at heart. We our little farm with some chickens, ducks, rabbits, horses, dogs, and one cat. As a family, we enjoy adventures to Disneyland or anywhere, homeschooling, and remembering to slow down in life to enjoy all the beauty God has surrounded us with. I love sharing with y’all little projects, tips, deals, and our adventures in life and homeschooling. So sit back, grab a cup of tea and enjoy reading. Be sure to check out our YouTube channel as well (link at top of page. Thanks for stopping by.